Several states have been considering ways to improve their economies in recent years, and a growing number seem to have arrived at the idea of boosting their minimum wages to stimulate economic activity. 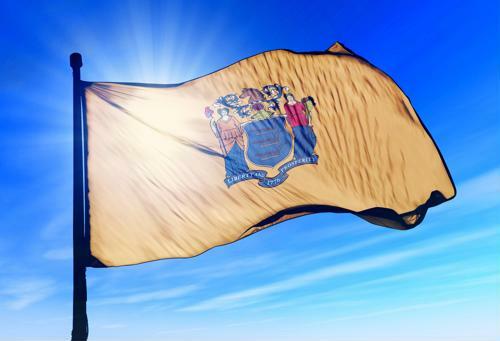 New Jersey recently became the latest state to take such a step, following a long period of consideration, and now has a minimum wage of $15 per hour. In early February, Gov. Phil Murphy signed the bill into law, starting the Garden State on the path to a $15 minimum wage by 2024, according to NJ.com. The first of the incremental increases in pay will go into effect on July 1, when the lowest-paid workers will see their hourly wages jump to $10 an hour from the current $8.85. After that, there will not be another increase until Jan. 1, 2020, at which point it will grow by a dollar per year. New Jersey is now the fourth state to enact a $15 minimum wage - joining Massachusetts, New York, and California, as well as the District of Columbia - at some point in the next several years, the report said. Lawmakers there previously tried to do so in 2016, but at the time, that bill was vetoed by then-Gov. Chris Christie. Meanwhile, Gov. Murphy has been talking about the benefits of a $15 minimum wage since at least 2015, and Lt. Gov. Sheila Oliver has been pushing the idea since she became a lawmaker in 2004, according to NorthJersey.com. "We have been fighting literally for 15, 16 years in the Statehouse to raise the minimum wage to a wage that people can move their lives forward," Oliver said at the rally where Murphy signed the bill into law. "Now we are on a trajectory to help people pay their bills. I know what it's like to have to juggle car insurance payment, car note, that credit card bill and children's tuition and the things that children need to go to school. You've been making these tough decisions for far too long in New Jersey. And hopefully, with the elevation of the minimum wage, families can begin to offer their children a better quality of life." It's worth noting that the new law applies different standards to different types of workers, according to ABC 7. For instance, farm workers will also see their wages rise over the next five years, but to a maximum of $12.50 per hour. Employees at small businesses and seasonal workers will have minimums rise to $15, but by 2026 instead of 2024. And finally, tipped workers will see their increases come to a new minimum of $5.13 over the next five years, up from the current $2.13. With all these changes going into effect starting just months from now, employers in the Garden State may be wise to start boosting their wage offerings soon, going above and beyond mandated minimums. Doing so while also improving benefits could be key to both attracting and retaining talent in an increasingly competitive job market.